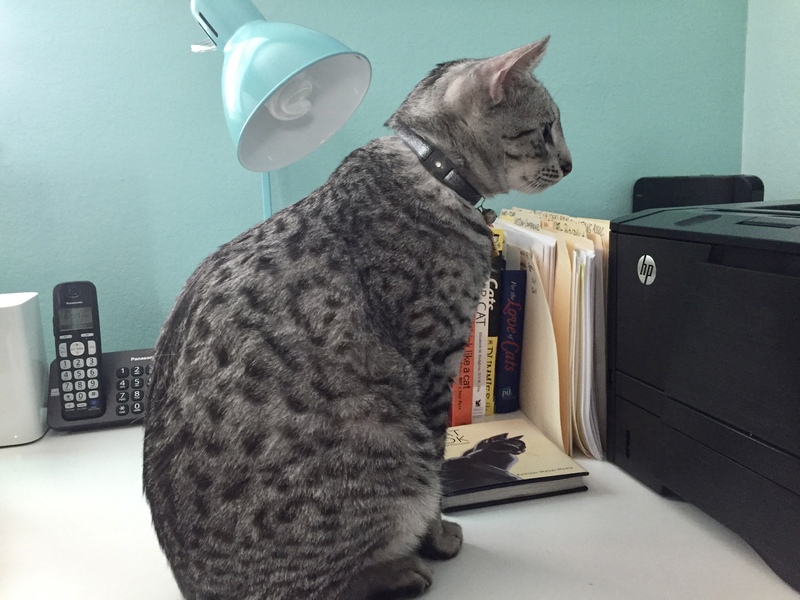 THE ARCH ENEMY: PRINTER OR PAPER? The mere sound of our printer starting causes Spirit to race upstairs to the printer. Seating himself in front of the printer, he tenses for yet another battle. But, is the printer the Enemy? No! The paper is the real Enemy. Notice how every sheet of paper first peeps and then creeps out of the printer? It is his prey. Instinctively, he strikes at the paper, like he would an insect or rodent. But the Enemy, the paper, keeps coming, one after another, advancing from some deep, dark place.